Thank you so much Flatiron Books for providing my free copy – all opinions are my own. Amber Reynolds is lying in a hospital bed unable to move or communicate. People are coming in and out of the room and she’s talking but no one can hear her. She’s in a coma. How did she get there? What happened and why can’t she remember? This is everything I love about a psychological thriller! It’s fast-paced, suspenseful, and expertly written with intriguing characters. The dialogue is so clever, eerie, and ominous. It reminds me of Hitchcock and why I love his movies so much. Amber is the book’s VERY unreliable narrator and the chapters alternate between past and present. It starts off almost as if we’ve been thrown into the middle of a puzzle and we spend the entire book trying to solve it. There are so many secrets, memories, and I had no idea what was coming! I wish I could tell you more but it’s best to go in this one blind. 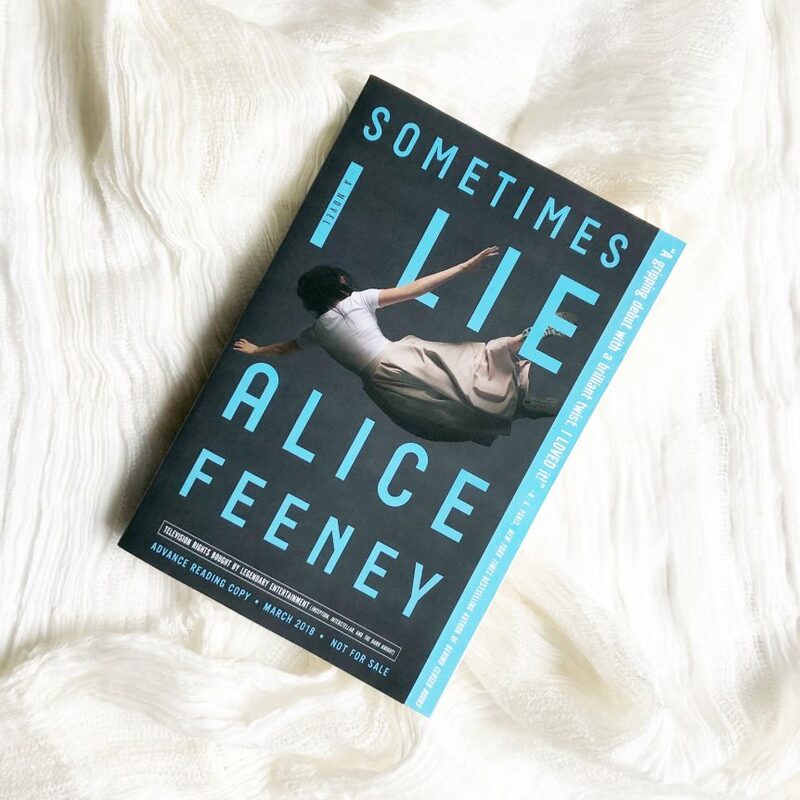 SOMETIMES I LIE has a unique, original, and electrifying plot that had me frantically devouring every page. You will question everything until the very end! And the end might drive you mad! Did I mention this is a debut? I will read anything Feeney comes out with next. TWISTY! CHILLING! DIABOLICAL! BRILLIANT!